When done please post here " I agree with the terms"
Here are the ways you can invest in the T.I.C. I agree! Money will be sent thru Dave (TheLangolier), since I dont' have a paypal account. 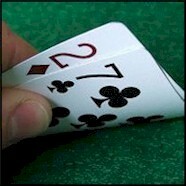 $10 to sandtrap777 via PokerStars. $50 sent to Sand via Paypal. I agree to the terms, $30.00 for three shares transfered to Sandtrap via PokerStars. Please if you could put my name on the waiting list for two more shares I would appreciate it. Thanks so much. I agree to the terms, $30.00 transferred. I agree. $40 shipped via wifes paypal.